I used to be terrible about skipping breakfast but I’m trying to get into the habit of having something in the morning. 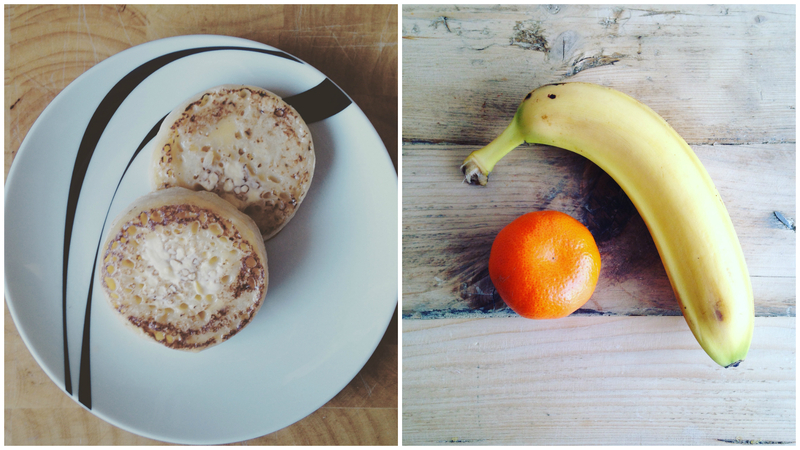 This morning I had two crumpets with Flora Light and a glass of water. I try to always have fruit and/or yoghurt mid-morning. If I’m at home I’m more likely to have some berries with yoghurt but if I’m out and about then I’ll just take a couple of pieces of fruit with me. Today I had a banana and a satsuma. Lunch varies massively for me depending on what I’m doing / where I am. Today I had a pretty substantial lunch of a jacket potatoe (with Flora Light), two slices of ham and some lettuce and cucumber salad with water to drink. 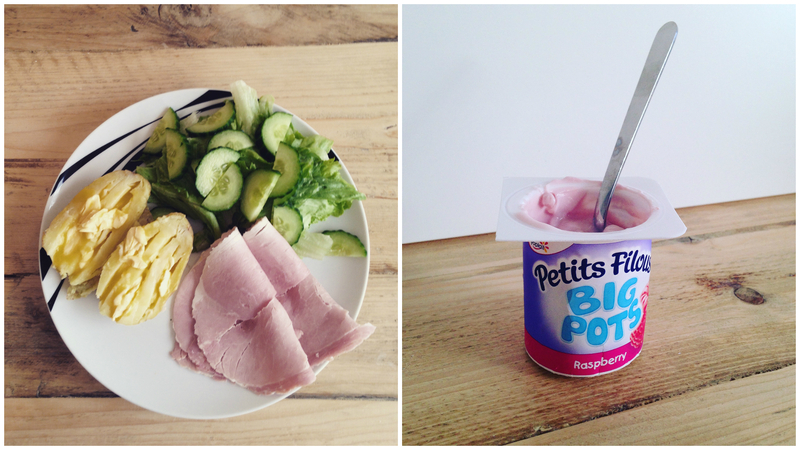 I also had a Petit Filous yoghurt – yes, I know they’re for kids but I love them. Or as I like to call it The Snack That Should Not Have Happened. It’s not my fault, I’m weak and someone brought treats in! Cornflake Crispy with Smarties. So delicious, I can’t even feel guilty about it. Prawn stir fry. 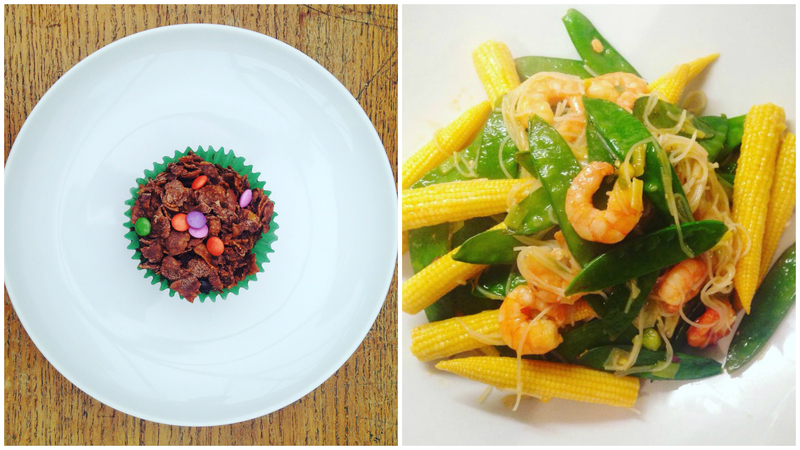 King prawns, baby sweetcorn, mange tout, rice noodles and sweet chilli sauce. Pretty healthy, but not pictured are the two glasses of wine I had with it!